Do You Need a Certified Roof Plumber in Melbourne? Our Roof Plumber Melbourne is available to attend your Home or Business in 1 hour. For a professional no nonsense local roof plumber Melbourne you need Inner City Plumbing. We are experts in roof leak detection and repairs. With over 20 years experience we have seen every possible roof leak imaginable and yours is no exception. If your roof leaks have occurred immediately after a heavy storm, chances are that its storm damage related. If so its a matter of emergency, we can come out immediately and install a tarpaulin and temporarily get you out of trouble until the roof is adequately repaired. Our team of professional plumbers are able to service all your plumbing requirements 7 days a week. Our trained and fully licenced roof plumber Melbourne can arrive at your location at any time of the day for your convenience. We are so confident of our plumbing service in Melbourne that we have a 1 hour guaranteed response time. Our team of certified Melbourne plumbers are professional, reliable, courteous, efficient, on time and very customer focused. 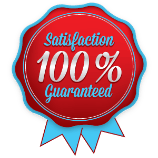 We pride ourselves on 100% customer satisfaction. So put the worry out of roof leaks and call Inner City Plumbing on 1300 668 834 to repair your roof today! We are open 24hrs a day 7 days per week. Are you hearing tapping noises in your ceiling every time it rains? Are you noticing brown stains on your ceiling or down your walls? Or even worse is there dampness in your house? Then its very likely you have a roof leak. With our extreme Melbourne weather conditions the constant wear and tear on our roofs can certainly take it’s toll. Roof Plumber Melbourne offers all manner of roof repairs from water damage, wind damage rust damage and any other problems that are causing concern. Our years of experience and success with commercial, industrial and residential roof repairs have given us the knowledge to not only repair your roof leaks but also advise you on preventative measures and suitable guttering, downpipes, rainheads and overflows that can keep further leakage from occurring. Prompt attention to your roof leaks are guaranteed. Preventative measures are essential to protect the interior of your home and your personal belongings from the eventuating water damage that a leaking roof can cause. If your thinking of replacing your roof Inner City Plumbing can provide you with a brand new roof in Metal or Colourbond. Our roof plumber Melbourne is fully experienced in Roof Renewal and can advise you on the best product for your home or business. We can organize for the removal of Asbestos by experts that are qualified and accredited under government legislation to do so. Metal roofing doesn’t attract lightening any more than any other type of roofing. Metal Roofing can be easily installed. The availability and variety of colors available in colorbond roofing serves the purpose of protecting your property and creating an overall attractive appearance for your entire residence or business. As we are truly local plumbers in Melbourne we offer all the services you need. Get in touch with us right away on our 24//7 number 1300 668 834. Our friendly Melbourne Plumber will be able to answer any questions you have over the phone. For any emergency plumbing call on your local Melbourne plumber to handle the job. We specialise as an emergency plumbing services in Melbourne. With the right experience, we can assess your problem quickly. You will not have to wait hours for an emergency roof plumber Melbourne. We guarantee that an emergency roof plumber will be at your doorstep fast! Just because it’s an emergency plumbing problem doesn’t mean it’s a quick short term fix.The last thing you want to do is book another appointment to have a plumber Melbourne visit you again. We will do our very best to ensure we fix the problem the first time. So when an emergency plumber Melbourne rolls up, their vehicle is equipped just about everything. If the emergency plumber Melbourne does not have the part on board, we will order it in quickly and put in a short term fix. Our suppliers will do their best to give us the parts we need for any emergency plumbing problem in Melbourne. 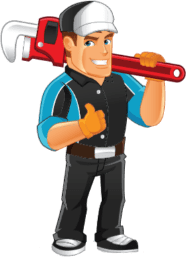 When you need a 24 hour roof plumber Melbourne you want to be sure that the 24 hour plumber you are calling can arrive quickly and complete the job. Inner City Plumbing can easily respond to a plumbing emergency in Melbourne. We we have over 20 years of experience in taking care of roof leaks and emergencies in Melbourne and know how to diagnose a problem quickly. Our 24 hour plumbing service can take care of your problem fast. For all roof leaks, repairs and general plumbing needs in Melbourne call Inner City Plumbing on 1300 668 834 for rapid response. Inner City Plumbing services all Melbourne Suburbs specialising in roof repairs and replacement. We have been in this business for over 20 years and we are continuously growing. Our clients appreciate our friendly plumbers and how we use the latest technology to deliver high quality plumbing solutions. We work very hard to make sure all our customers are completely satisfied with our service. Our goal is to always exceed our customers expectations. Roof Plumber Melbourne	Overall rating:	4.6	out of 5 based on 117	reviews.